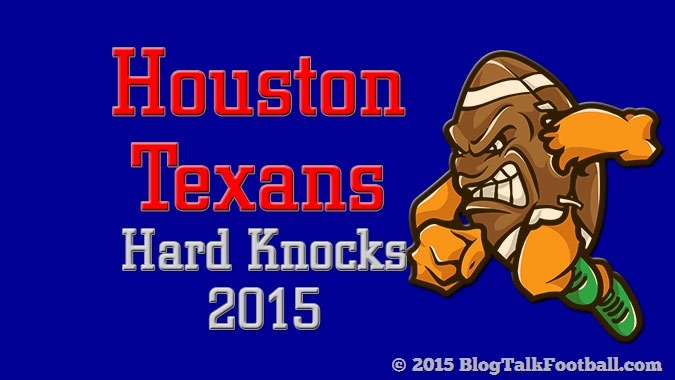 Is Schaub The Question Or The Answer For Houston Texans? The Houston Texans started the 2013 NFL Season with Super Bowl aspirations. Now, with a couple of close wins after mounting big 4th quarter comebacks, and two straight losses, including one game where they were in control, the Texans (2-2) might not even win their division, and would be out of the playoffs if the season ended today. After years of being dominated by Peyton Manning and the Indianapolis Colts, the Texans finally took control of the AFC South and won the division title two straight years after Manning got injured, released and signed with the Denver Broncos. The Texans expected to be challenged for the division crown by the Indianapolis Colts (now led by Andrew Luck), but the Colt’s lack of depth and experience compared to the Texans did not make them a legitimate threat to the Texans. The Colts (3-1) now lead the division, while the Texans sit in third place with a long shot for playoff contention. 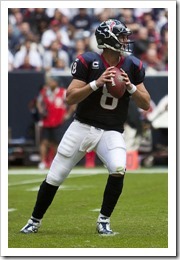 One of the reasons the Texans are losing is the play of quarterback Matt Schaub, who is having a really tough season. Schaub is actually a good quarterback, and he has the statistics to prove it. He has thrown for over 4,000 yards in three of the past four seasons, the only exception was the 2011 season when he was injured and only played in 10 games. Schaub already has 6 interceptions this season, which is tied with the total number he threw in 10 games in 2011. The problem with Schaub is he doesn’t handle pressure well, most of the time when the game is on the line, you can almost count on Schaub making a play that would either cost the Texans the game, or give their opponents a chance to win the game. This season, Schaub has the dubious distinction of being the only NFL quarterback that has thrown an interception that was returned for a touchdown by the opposing team in three straight games. The interception Schaub threw against the Tennessee Titans (3-1) almost cost the Texans the game, the Texans were trailing by one point when Schaub threw an interception to Alterraun Verner, who returned it for a touchdown and an eight point Tennessee lead. Although the team was able to overcome that, they were not as fortunate against the Baltimore Ravens (2-2), a three point lead for the Texans turned into a blowout after Daryl Smith intercepted a pass from Schaub and ran it in for a touchdown, which rallied the Ravens who were stagnant offensively up to that point. These fans think Matt Schaub is not the answer. The final straw came against the Seattle Seahawks (4-0)! This was a game that was supposed to be a measuring stick for the Texans to show they belong with the other Super Bowl favorites in the league. Again the Texans outplayed the Seahawks for the first half, but were unable to score points in neither the second half nor in overtime. They still had a chance to win the game with three minutes left but Schaub threw an ill advised pass that was intercepted and returned for a touchdown when he should have just taken a sack. If the Texans are serious about contending for a championship they will have to address their quarterback situation, if Matt Schaub can’t be trusted to take care of the ball in critical situations, the Texans will be better served having somebody else under center.